Study done at Harvard and Yale: The graph below demonstrates the % of pressures created on the low back discs with various positions. Note that sitting bent forward at a desk is more similar to standing-bent forward with a weight in hand. 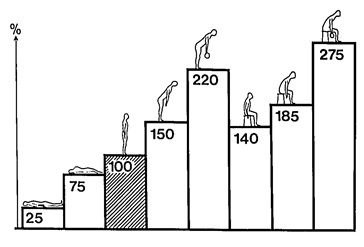 This is why patients with low back often report that sitting makes their low back feel worse. 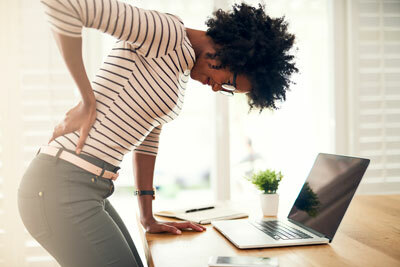 It is also why jobs that include long periods sitting create disc damage and pinched nerves. Allow Dr. Schultz to access any damage done to your low back discs and nerves by scheduling an appointment today.